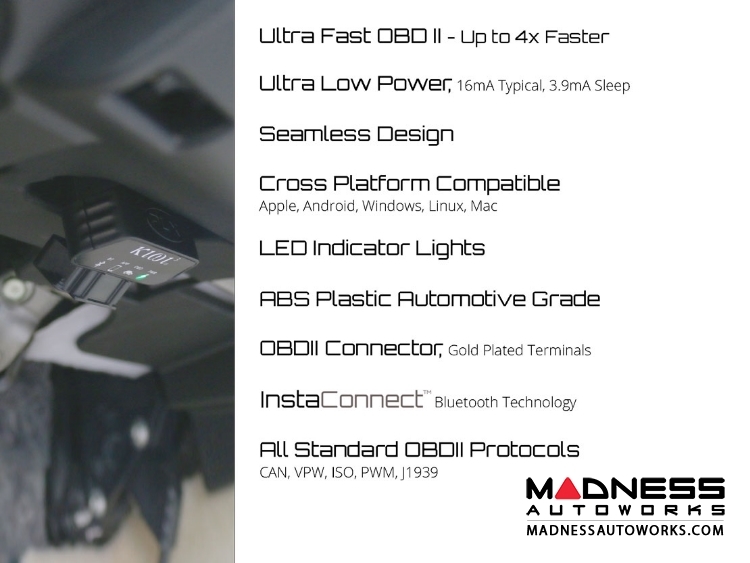 The smallest, fastest, and most versatile OBD adapter yet! 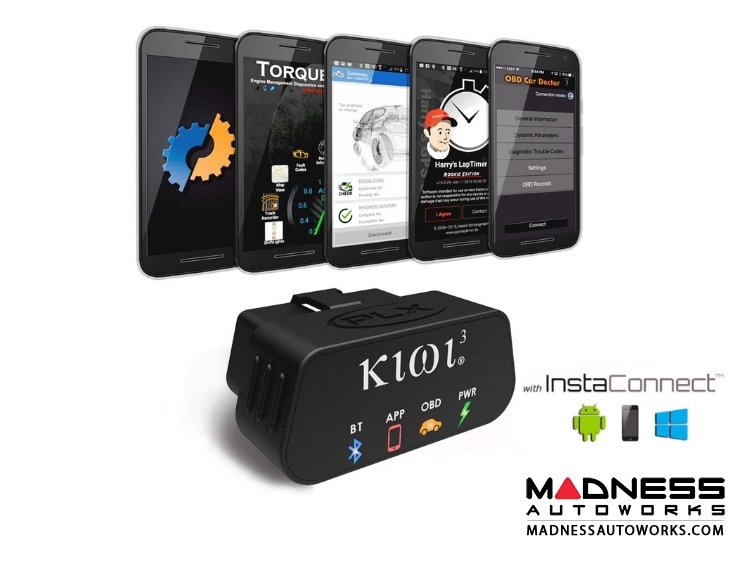 Kiwi 3 is a plug and play automotive tool that connects to the onboard diagnostic port (OBDII / CAN), retrieves information from your car's computer, and wirelessly transmits to your smart phone, tablet, smart watch, or PC, with compatible apps available separately. 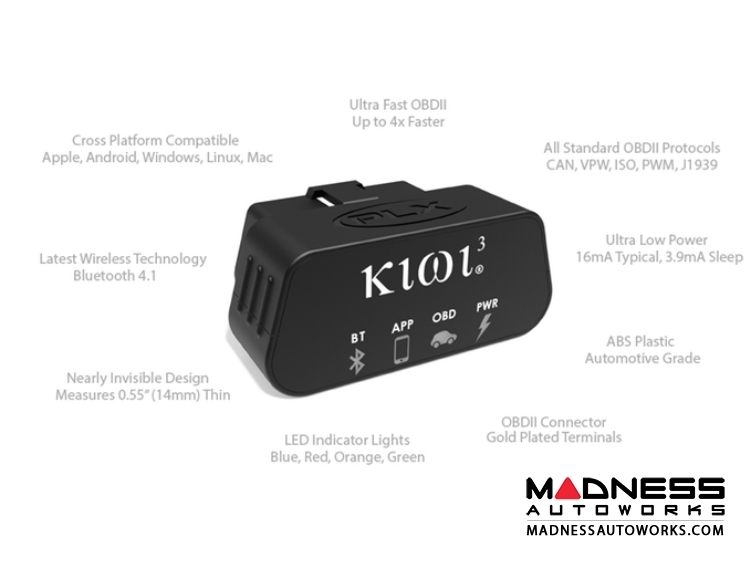 Kiwi 3 is up to 4 times faster than the nearest competitor and uses ultra low power allowing you to leave your device installed permanently in your vehicle. 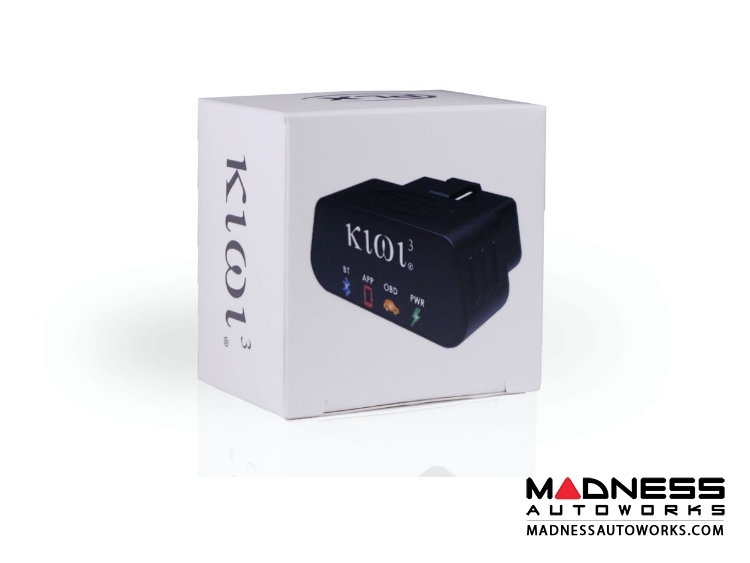 Compatible with all standard OBDII protocols, Kiwi 3 installs in seconds. 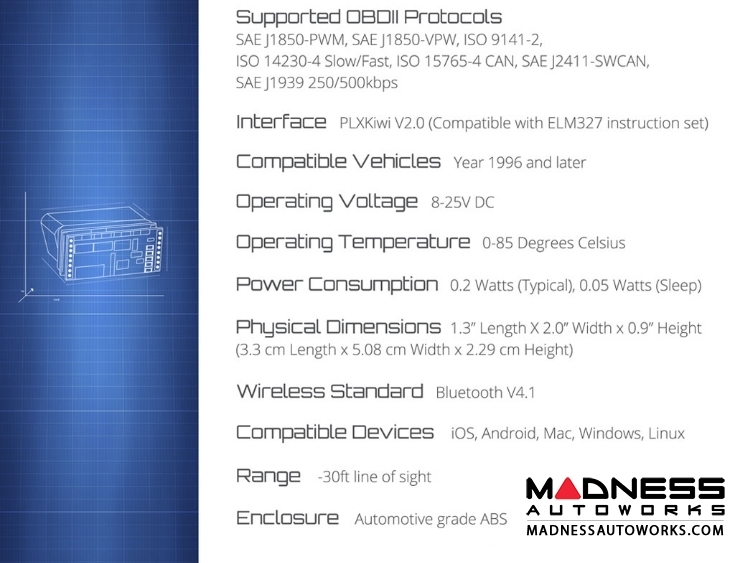 Firmware can be updated via Bluetooth and employs a nearly invisible design. 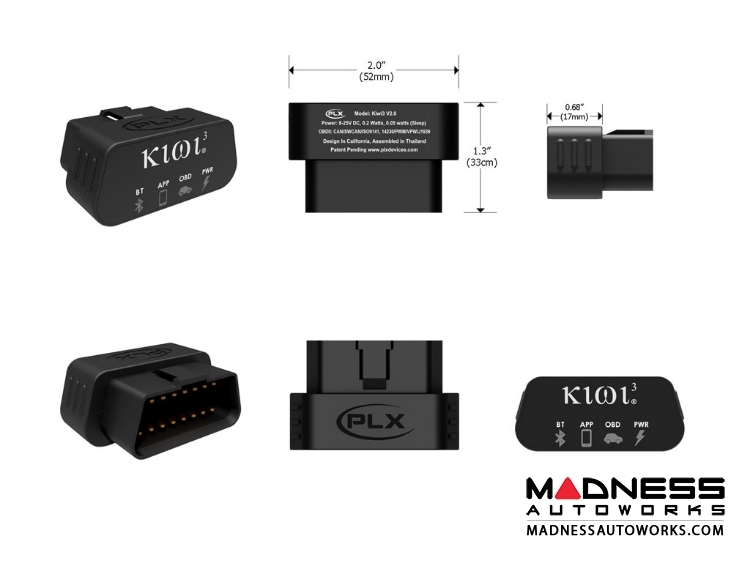 When inserted into your OBDII port, Kiwi 3 sits just 0.68 inches thin making it the smallest and most discrete OBDII adapter. 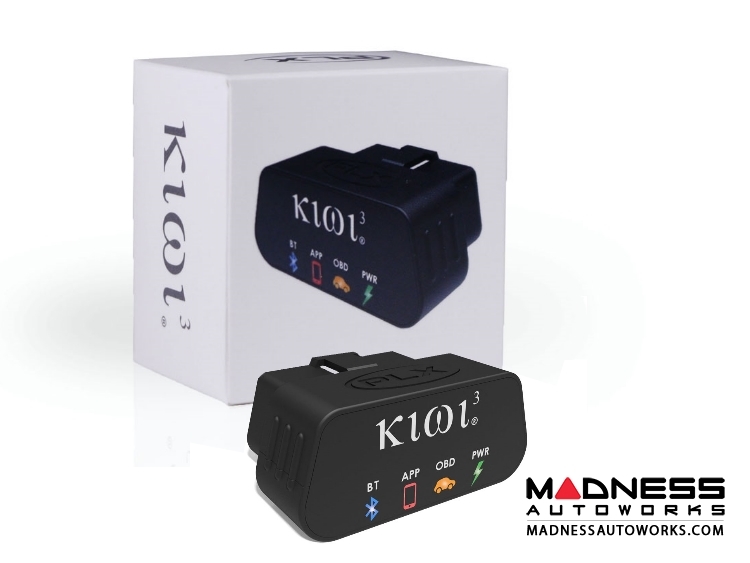 Kiwi 3 is the next generation of OBDII adapters and no longer requires cumbersome bluetooth pairing or wifi configurations. Simply, plug and launch the app. Kiwi 3 does the rest! Kiwi 3 is the world's first true cross platform support compatible with iOS, Android, and Windows Mobile. Kiwi 3 allows for app developers to freely deploy without restrictions like the Apple Made for iPod (MFI) program. As a result, Kiwi 3 is a simple and straight forward making it highly developer friendly. Kiwi 3 is compatible with your favorite apps like DashCommand, Torque, Harry's Laptimer, and more (available separately)! 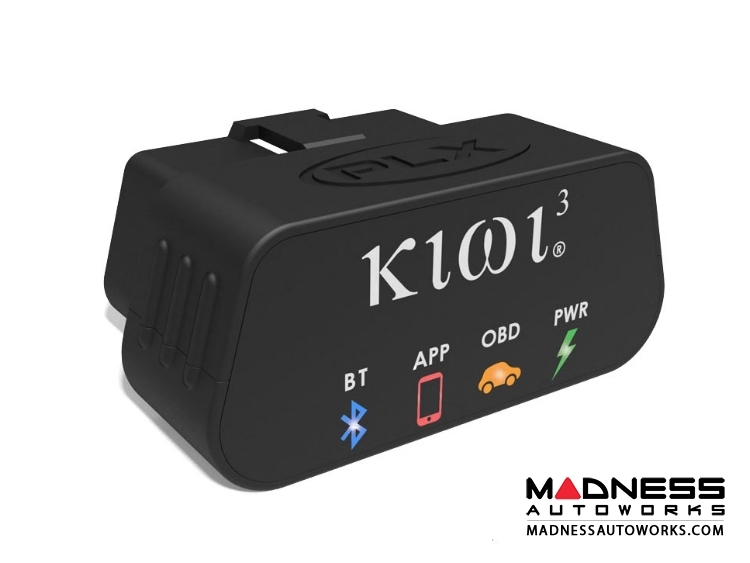 Plug and play automotive tool that connects to the onboard diagnostic port (OBDII / CAN), retrieves information from your car's computer, and wirelessly transmits to your smart phone, tablet, smart watch, or PC. 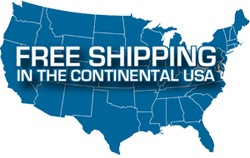 Cross platform compatibility - the world's first truly cross platform adapter compatible with iOS, Android, and Windows Mobile.